Whether you're out browsing or shopping for antiques, arts and collectibles of all kinds, including furniture, glass, jewelry and more... you'll find Cottonwood, Sedona, Rimrock, Camp Verde, Clarkdale and Jerome Arizona to have an eclectic array of the many unique antique stores of the Verde Valley. 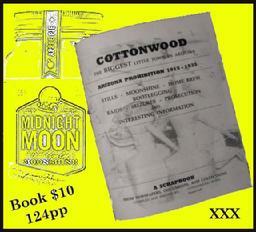 Spend the night at the Cottonwood HOtel. All Old Town Antique Stores are within 2 blocks walking distance from the Cottonwood Hotel. 930 N. Main St., is open by appointment only, unless the door to the hotel is open. Call the hotel innkeeper at (928) 202-2207. Historical tours, information, bootlegging goblets, vintage clothing, misc. furnishings. Known as antique heaven with its huge 2 acres of antiques! This is a multi-dealer mall/store. This large store has a wonderful selection of antiques, vintage clothing, jewelry and collectibles from around the world. Step back in time with a visit to Papillon Antiques. 2nd store is Papillion I located in Jerome. A new store by Judy featuring antiques, home furnishings, collectibles and unique gifts. Check out Judy's Estate Sales. ***If the door is locked, his number is posted on the door. He insist to call him as he may be on the property. This small Egyptian collectibles shop is a must to see!